Volunteers from service clubs and associations joined seniors to canvass businesses across the island last month, raising a total of more than $7,000. A spokesperson said, “Volunteers from service clubs and associations joined seniors to canvass twenty-three businesses across the island last month when our fellow citizens deposited $6,666.75 into their charity buckets. The Bermuda Senior Islanders’ Centre, Registered Charity 663, Admiralty House Park, also received an unsolicited pledge from a corporate donor of $1,000.00. “We had over one hundred volunteers at businesses that allowed us space in their storefronts to accept donations from the public. The Bermuda Senior Islanders’ Centre is so pleased and thankful for the support of these businesses; they helped us exceed our fundraising target. “In addition to the above expenses, the Centre maintains Government Building 0329, pays for utilities, buys office and general supplies, computers, appliances, contracts equipment and runs a mini-bus. Operational expenses also include administration and government regulatory and miscellaneous fees. “Governed by the Charities Act, we file Profit & Loss Statements and Balance Sheets to the Charity Commission. We’re mandated to have internal procedures and policies in place to combat and shield the Charity from anti-money laundering and anti-terrorist-financing. 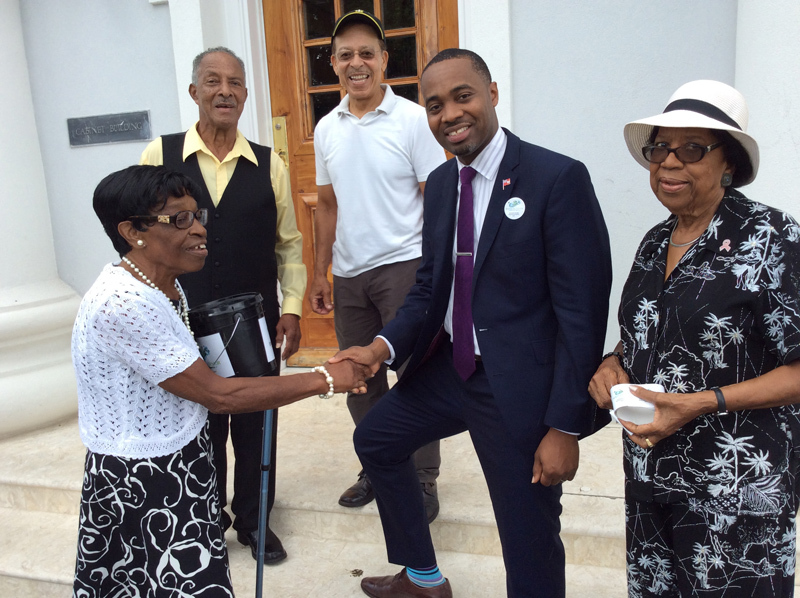 “The mission of the Bermuda Senior Islanders’ Centre is to get seniors out of the house to participate in social activities at eighteen affiliated groups that meet across the island.